If you are using Microsoft Office on your iPad or iPhone, you might have noticed that there is no easy way to rename, re-arrange and organize your files within the PowerPoint, Excel and Word apps. For Example: If you’re working in the PowerPoint app and you want to rename a file, you’ll have to duplicate the file, edit the name, and then delete the original. Then, say you want to rename an Excel file, well then you’ll have to open the Excel app and follow those steps again within that app. And you won’t be able to create folders to organize your different files. The way around all of this is to download some kind of storage app, and we recommend an app that can easily sync with your laptop or desktop. We’ll be looking at using the OneDrive app because it works seamlessly with Microsoft Office, but any storage app will work, like Dropbox or iCloud. 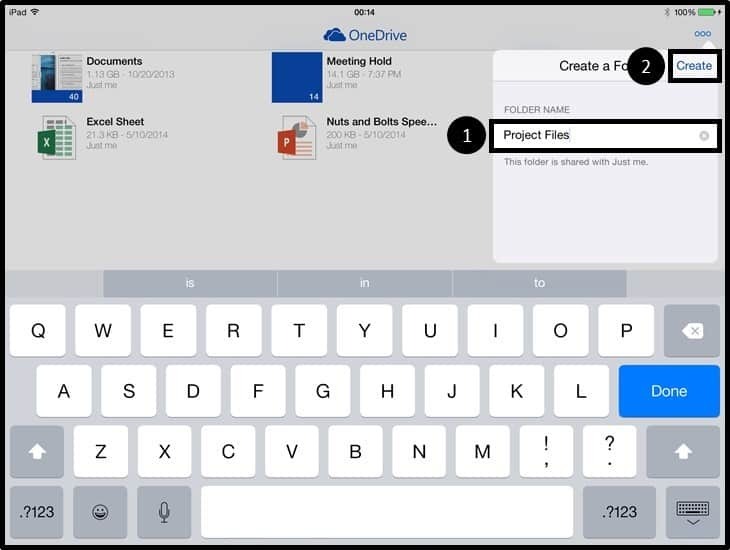 In this tutorial, I’ll show you how to create folders and re-name PowerPoint, Excel, and Word files on your iPad or iPhone with the OneDrive app. Note: This tutorial is based on the OneDrive App Version 4.5.3., which you can see in by tapping the three circles in the lower right-hand corner of your screen. Each updated version of the OneDrive app brings some slight user interface changes, but otherwise everything more or less stays the same. ​Click here to download the OneDrive app from to the App store. Searching the OneDrive App: In any window, drag down with your finger (slightly) to uncover the search bar at the top of the window to search the contents of your OneDrive. ​If you don’t see what you are looking for, drag down on the screen to reload the page. ​You can change how the items within your OneDrive app are displayed by toggling between the Thumbnails View and the Details View of your documents and folders. In the upper right-hand corner, simply select the three dots, and select between the two views. Note: The only view that will be available is the view that you are currently not in. ​To sort items within a particular folder, click the three dots in the upper right-hand corner, select Sort By and you are given six options to sort your files by: Name (Ascending), Name (Descending), Newest, Oldest, Largest and Smallest. Creating folders to group and classify your files is key to staying organized. This is especially important when you start working on your files on multiple devices (work computer, home computer, iPad, iPhone…). To learn more about how to maintain version control (V1, V2…V78?!) on your mobile device, check out our previous post on avoiding version control with Office on your iPad. 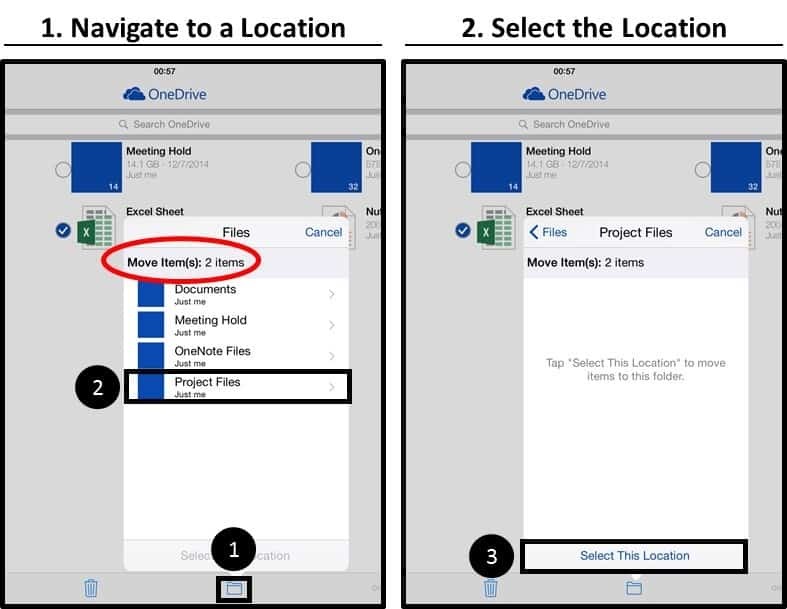 ​Within the OneDrive app, navigate to the location where you want to create a new folder. In this example, I’m going to add a folder in the root folder, the opening screen of the OneDrive app. Once in your desired location within the OneDrive app, tap the three circles in the upper-right hand corner to open up the folder options and select Add Items. ​Tap the Create Folder option in the menu, name the folder, I’ve named mine ‘Project Files’, and then select Create. Selecting Create, you are immediately taken to that new folder with nothing in it. ​To move back to the previous level where you created your folder, hit the back arrow in the upper left-hand corner. Mine currently says ‘Files’, but the name will change as you navigate deeper within your file hierarchy. Once you’re back a level, you can see the folder you created with the number zero on it, indicating that there are zero files within the folder. Navigate to where the documents or folders you want to move are located and then select the circles in the upper right-hand corner. ​With your files and/or folders selected, tap the folder icon at the bottom of your screen and navigate within your folder hierarchy to where you want to have the documents and/or folders moved. I’ll choose the Project Files folder on my iPad. Once you navigate to your desired location, choose Select This Location at the bottom of the menu. ​Once you have moved your documents or folders, choose Cancel. You can see that my Project Files folder now has the two documents within it that I moved there. 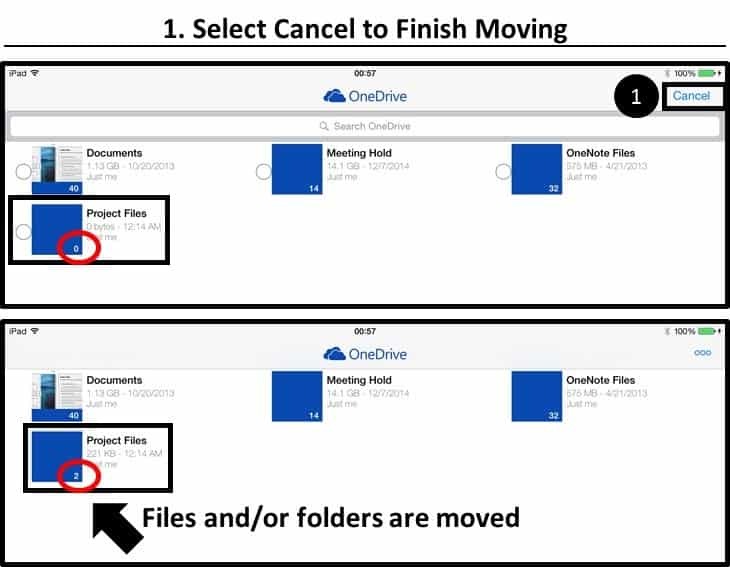 One key thing to remember when moving around files and folders is to make sure you sync up the OneDrive app on your mobile device with OneDrive on your computer. To learn more about syncing issues, check out our article on avoiding version control hell on the iPad. ​Navigate to the location where your document or folder is that you’d like to rename. Select the three circles in the upper right-hand corner, choose Select Items and then select your file or folder. In this case, I’m going to rename my ‘Project Files’ folder, so I’ll select that folder so that it has a check mark on the left. ​With your file or folder selected, tap the three circles at the bottom of the screen, select ‘Rename Folder’, rename your file or folder and then select Done. 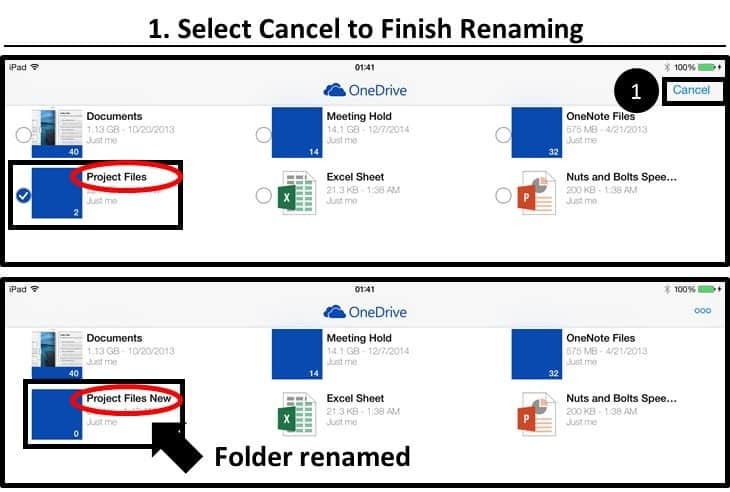 ​After renaming your folder, hit Cancel in the upper right-hand corner of the screen to complete the process. To see your new name appear onscreen, you will need to navigate into and out of a folder. And that’s really all there is to it! Using a storage app on your iPad will allow you to create folders, rename files, and generally move things around so that you stay organized. 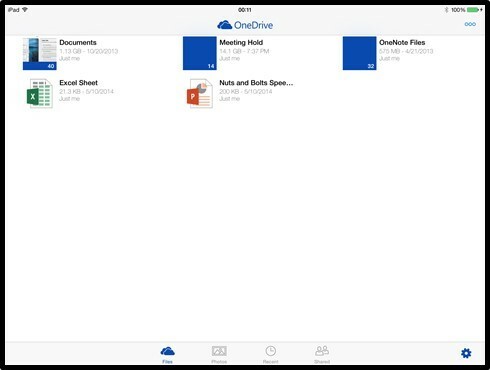 Click on the following link to download the OneDrive app from to the App store. If you have an Office 365 subscription, you get unlimited storage with OneDrive (pretty awesome!). 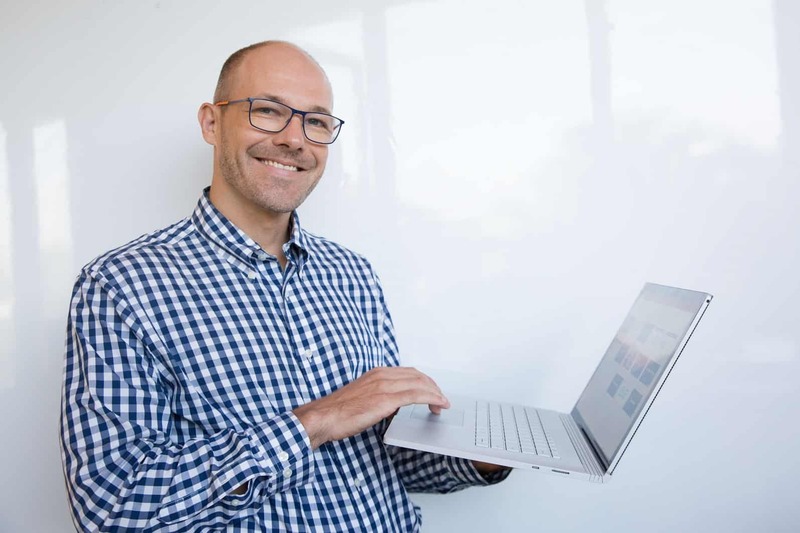 Click on the following links to learn more about Office 365 Personal and Office 365 Home from the Microsoft store. Please note that the link above is an affiliate link, and at no additional cost to you, we will earn a commission if you decide to make a purchase. Please do not spend any money on these products unless you feel you need them or that they will help you achieve your goals. 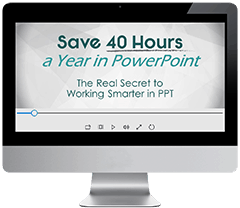 And if you’re often working with corporate decks and trying to make sure your colors stay consistent between your desktop version of PowerPoint and your iPad version of PowerPoint, you’ll want to look at this short tutorial about using custom colors in PowerPoint on your iPad.